Cross Platform gaming, or cross-play, is a topic that is hot on every gamer’s lips nowadays with gamers everywhere wanting to play with, and against, their friends on other platforms. With that being said, it will come as no surprise should Apex Legends choose to follow games, like Fortnite, down the cross-play path. And why shouldn't they? So, for those of you also asking the question around cross-play for Apex Legends, Respawn - producers of Titanfall and Apex Legends, have confirmed that cross-play is in the works but has not yet indicated when they will be adding it in to the game that has taken the Battle Royale genre by storm. Drew McCoy, the lead producer at Respawn, said to Eurogamer that they plan “to allow players to play with their friends on other platforms” at some point. This obviously generated a whole lot of buzz! 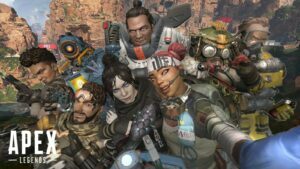 It is likely that cross-play on Apex Legends will look a lot like cross-play with Epic Games, where gamers will create an account, possibly through Origin, and link their platforms to this central account, which will then be used to add gamers on other platforms and squad up with them - but this is all just educated guessing. McCoy also said in the same interview that cross-progression will, unfortunately, not be possible because of how the game was set up in it's early days of production and this can not be reconciled. So, if you are looking to play Apex Legends with your friends on other platforms, you'll be doing it for some good old fun, and not for adding kills and wins to your counters. 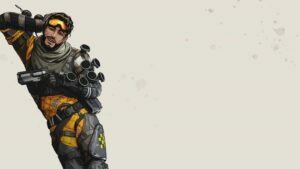 Apex Legends is currently free and available on PS4, Xbox One and PC. Whether it will be making an appearance on Switch, mobile, and other platforms is still to be seen. So here's to hoping that cross-play finds it's way to Apex Legends very soon! Until then, enjoy the first season, look forward to new legends, choose your drops wisely, and don't get bamboozled!